A true beauty of the Earth, waterfalls can be found all over and are sure to leave travelers speechless. Barceló Hotel Group breaks down some of the lesser known, but still fantastic, waterfalls of Latin America. In Peru, there are the Parijaro Falls, which are in Otishi National Park and have a breathtaking 820 feet drop, the Gotcha Falls and Velo de la Novia. While everyone is headed over to Machu Picchu, do something different and explore the wonders of these great waterfalls. In Panama, the Chorro Macho Falls take the spotlight. About a two-hour car ride from the capital of Panama City, El Chorro Macho is located in the Anton Valley and is a truly spectacular waterfall. 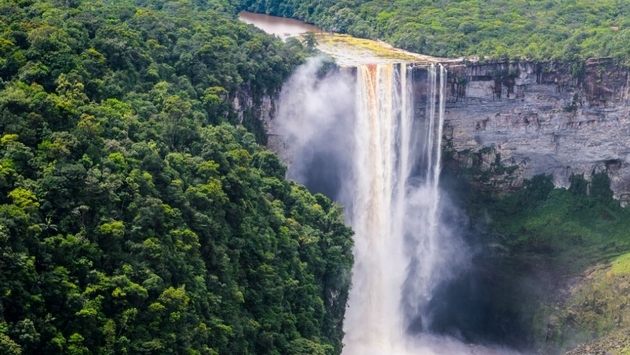 And In Guyana, you can find the sensational Kaieteur Falls, which is five times bigger than the Niagara Falls but yet still fairly unknown to most travelers. So if you’re looking for an amazing view with a small crowd, this is the spot for you! For more information on waterfalls in Latin America, check out the Barceló Hotel Group’s blog here.